The Mosebacke raincoat is the A-line version of Stutterheims iconic raincoat. This model has a fashion-forward silhouette, with a spacious cut. 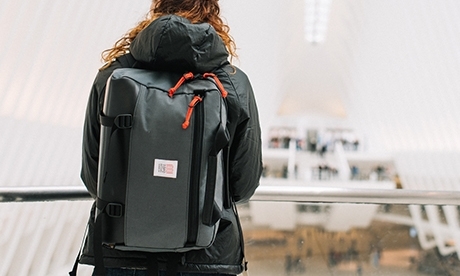 The finest craftsmanship is used to create this beautiful raincoat. 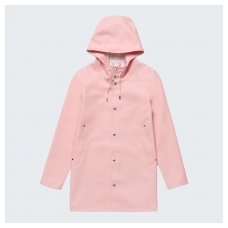 STUTTERHEIM MOSEBACKE HALF PALE PINK, Swedish melancholy; timeless functionality, 100% waterproof! 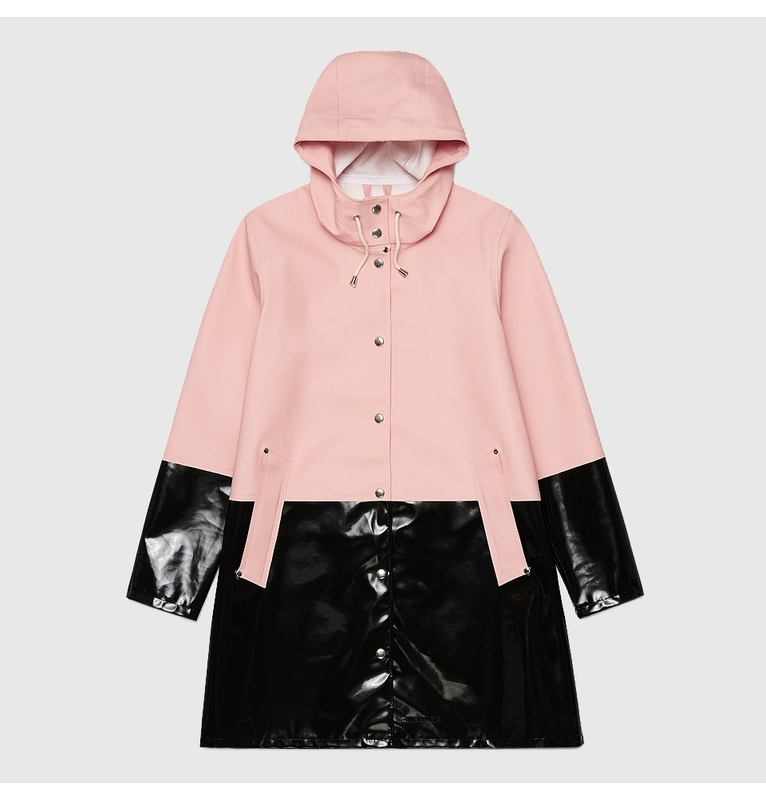 The finest craftsmanship is used to create this beautiful raincoat, here in a pale pink version with opal black stripes, silver buttons and cotton strings. 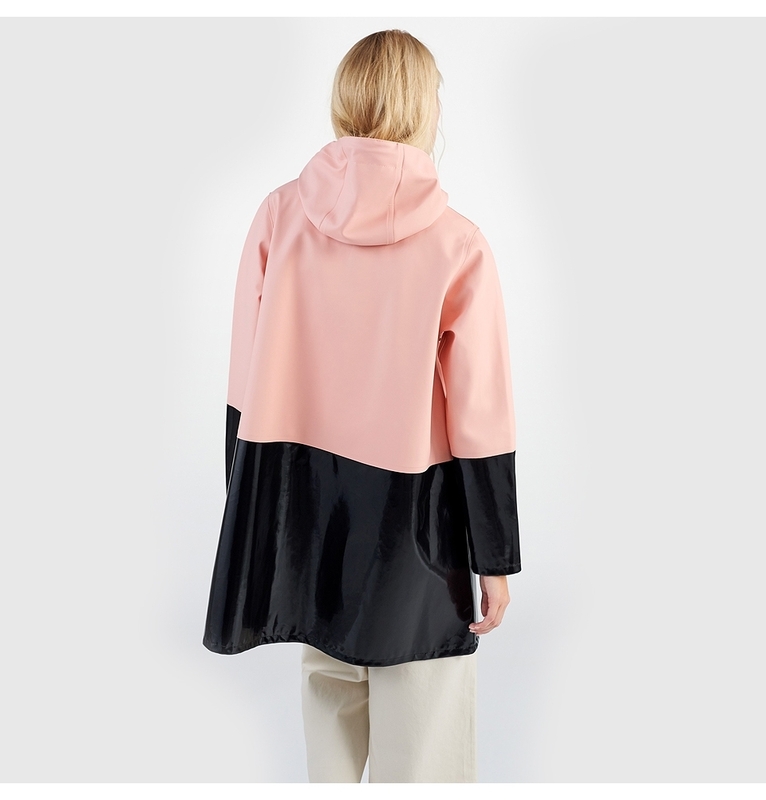 The Stutterheim Mosebacke raincoat is the women's version of our iconic Stockholm raincoat. This feminine style has a beautiful, A-line cut, creating a flattering silhouette. 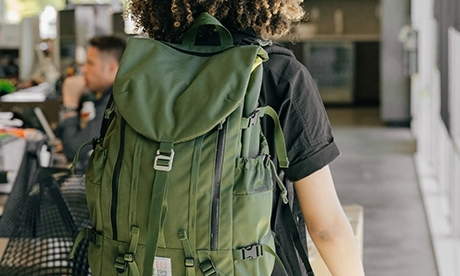 It is handmade in rubberized cotton, comes unlined, with double welded seams, snap closures and cotton drawstrings. The Stutterheim iconic rubberized cotton is the material most closely associated with Stutterheim. 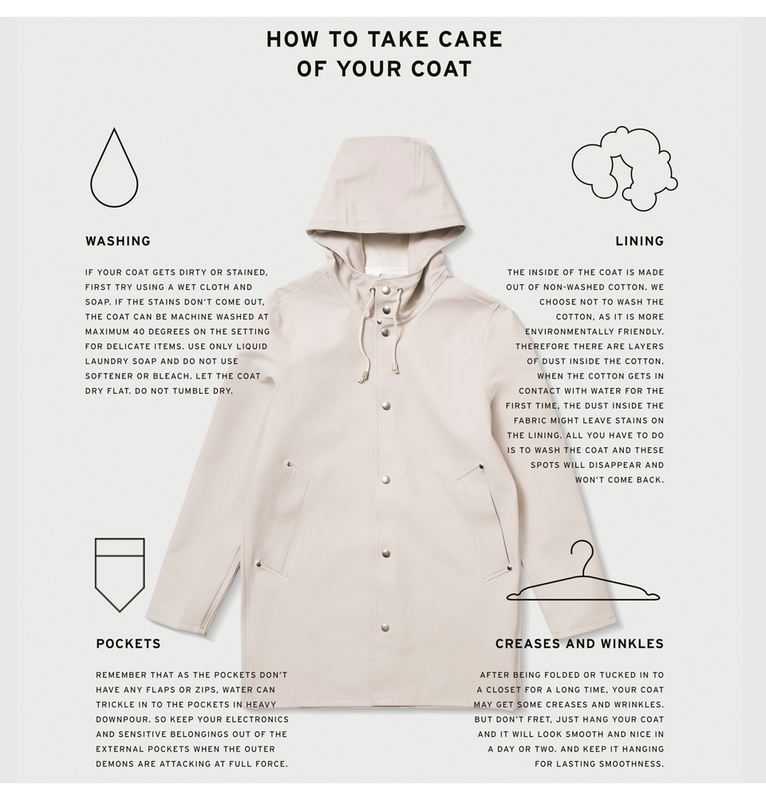 The Stutterheim Mosebacke raincoats are created in this high quality, waterproof material. The rubberized cotton always displaying color beautifully. Fit: The Mosebacke raincoat has an A-line silhouette, which drapes beautifully and offers more room over the hips, perfect for curvy and non-curvy women alike. Note that this coat has a generous fit, so if you are normally between sizes we suggest you size down one size.